Sometimes designs get the thumbs down. This one did. 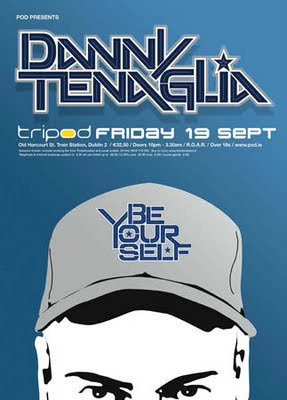 It's for DJ Danny Tengalia doing a show in Dublin back in 2007 (I think). I prefer this to the poster that ended up going out. It happens. A poster announcing the upcoming guests for dance music club called 515 in Dublin. This is from January 2006. I think this actually kicked off the club, I can't remember. 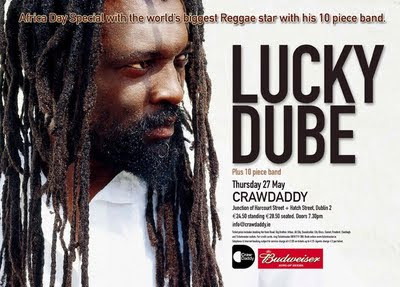 Poster from 2004 for Lucky Dube. At least I think it was 2004. It was soon after CrawDaddy opened anyway. Another artist who passed. He was here again in April 2007 then murdered in October 2007. Tragic. 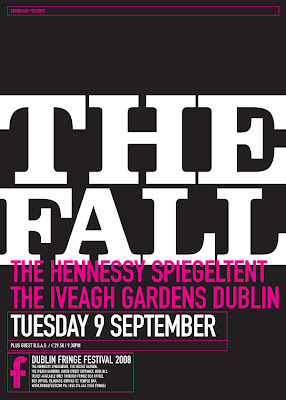 This is about the 4th or 5th poster for The Fall I have done. This one was as part of the Dublin Fringe Festival so I needed to get magenta in there somewhere. As far as I remember there wasn't much time to get the word out about this show, hence the super-loud design. There's a couple of changes I'd like to make now that I look at it. More The Fall posters to come. 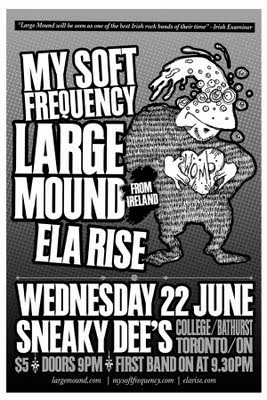 Sticking fairly rigidly to the Bad Manners look here's a poster I did for a Dublin gig in 2008. I wanted to make this loud, tight and clear. It works well. 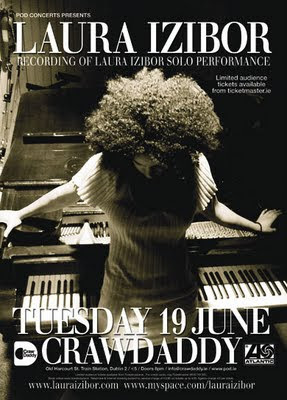 This is June 2007, I did this poster for Laura Izibor's CrawDaddy show that was being recorded for a Live CD. Her management sent over the photo but they liked what I did with the typography and decided to use it on the resulting CD. Laura is still using that 'logo'. It's all over her site. Which is nice. 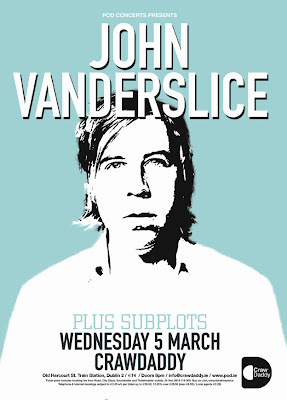 Aoife recently wrote about John Vanderslice in her blog and it reminded me of this poster from 2008. 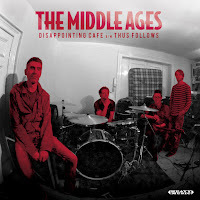 This time he was supported by excellent band Subplots who are well worth checking out. I suppose I'd compare them to Radiohead and Sigur Ros but then I'm not into either of those bands. Does that make sense? 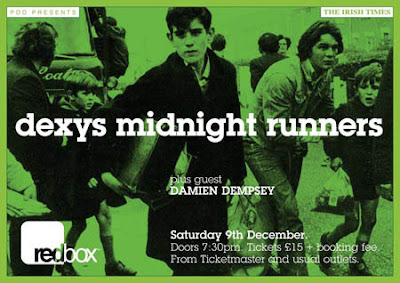 Poster from 2005 for Desmond Dekker playing Dublin. Another artist who has passed. Looking back at this now the white border on the text is not great at all. Apart from that I've always liked it. The tag line looks like a tack on and it probably was. Another one from a few years ago, I think it was 2006. Large Mound went to Canada for a few gigs. The map of Ireland is very funny to me, maybe it looks stupid but I was cracking up when doing it. Another classic drawing by Ian lawton. Last time it was checked there is still an A0 version of this on the wall in Sneaky Dee's. Oh, Large Mound is my band, or the band I'm in. Did that even need saying? 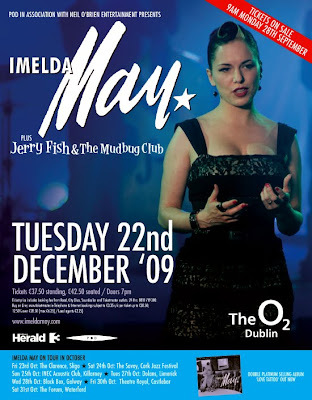 This week has been all about Imelda May. It doesn't seem that long ago when I was doing a poster for her in CrawDaddy (capacity around 350). This is for the O2 in Dublin (capacity around 10,000 or something). Fair play. 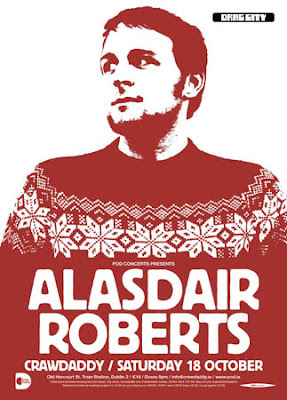 From October 2007, a really simple poster for Scottish lad Alasdair Roberts. I like it. I'm fond of the Block font. Thumped is an Irish underground music and discussion website. Pete set it up in 1999. Loads of designers and musicians contribute to the very active Forums on Thumped but nobody was really answering Pete's repeated calls for a new logo to go with his redesign. I thought if I did something I'd be off the hook. I sent him his one night at about 3am. It was live the next day. I think he was just relieved. Right up to date. 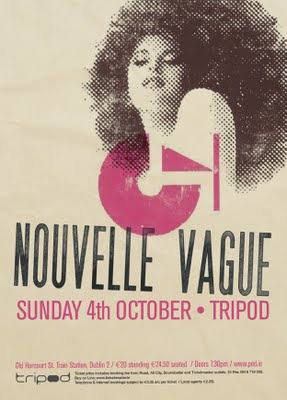 French band Nouvelle Vague playing Dublin next week. They have a very clear image. I've done about 5 or 6 of their gigs now and I try not to get in the way of their artwork. Probably 2000 or 2001. This was one of the first fly-posters I did. I even bought the album in order to scan the cover, the internet was that slow. Pretty disappointing that the gig was cancelled in the end. A poster I did for Bo's Dublin gig back in 2006 (I think). I have done hundreds and hundreds of posters over the years. I'll post some random things from my archives. Sometimes my work has to follow strict artist guidelines, other times the promoter will have requests, other times I'll have freedom to do whatever I want or it's a mixture. 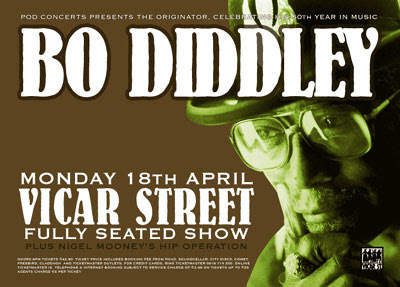 I think this Bo Diddley poster was a mixture of all three. I'm going to use this old flyer as my first test post. Ian Lawton did the drawing. It's pretty funny.